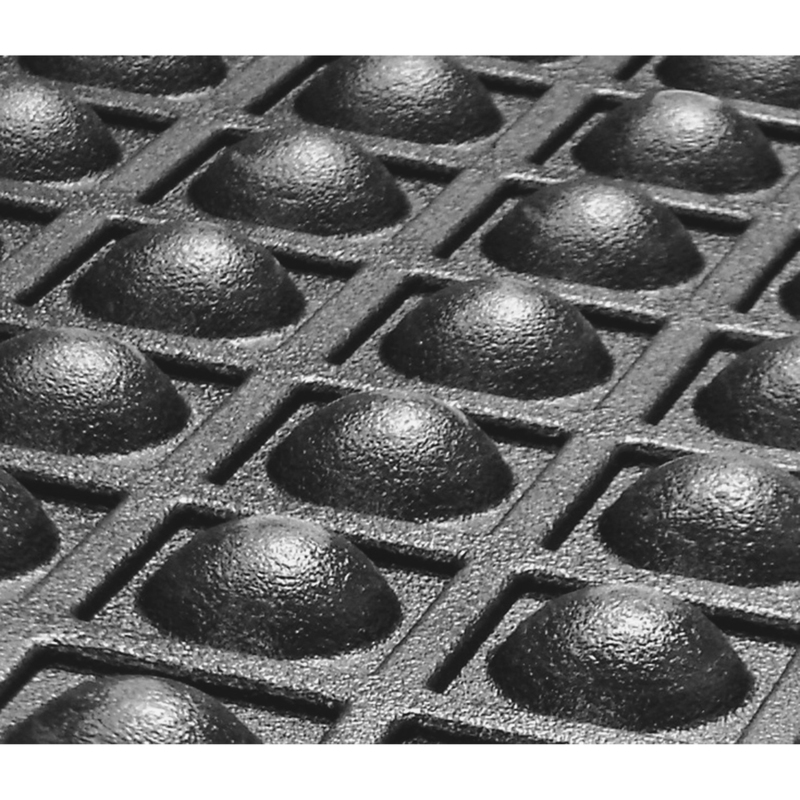 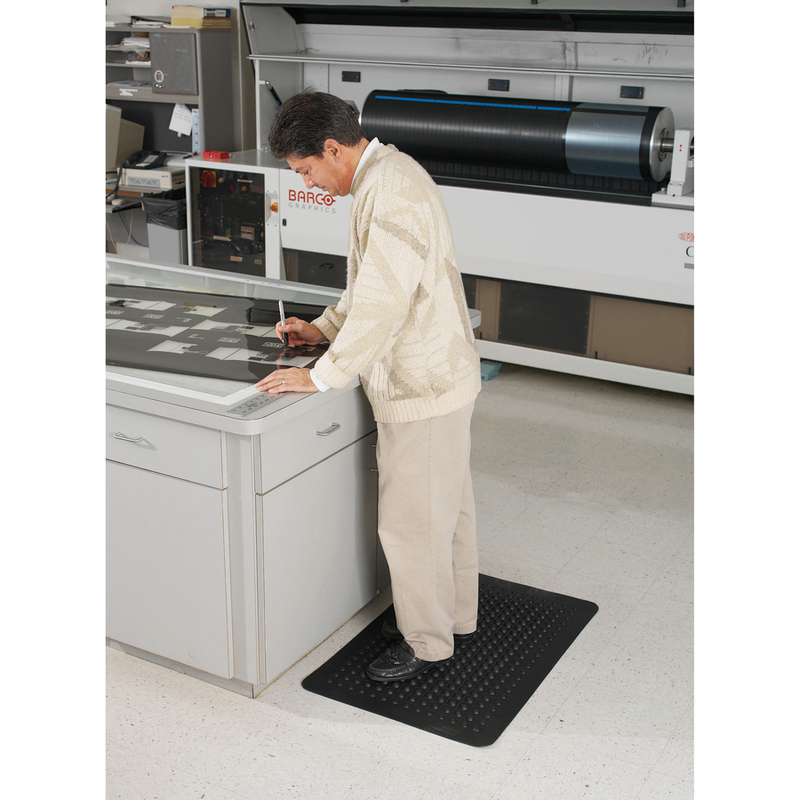 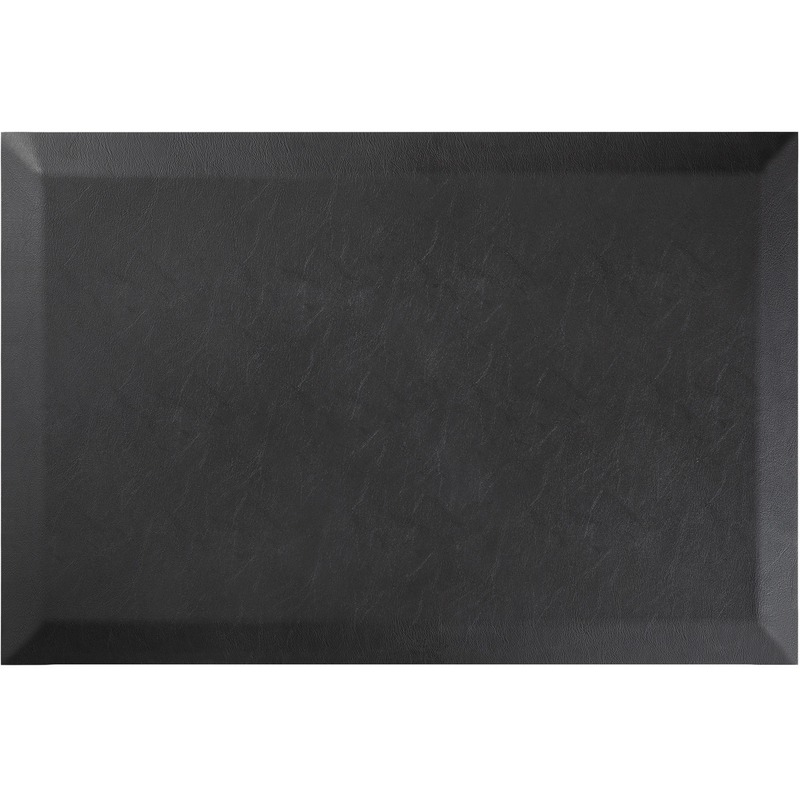 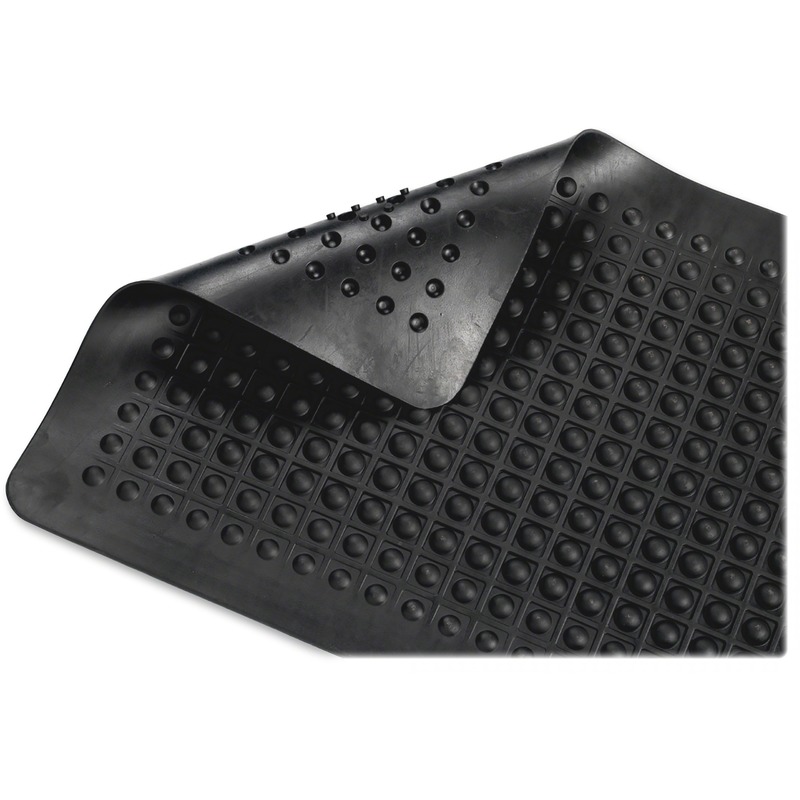 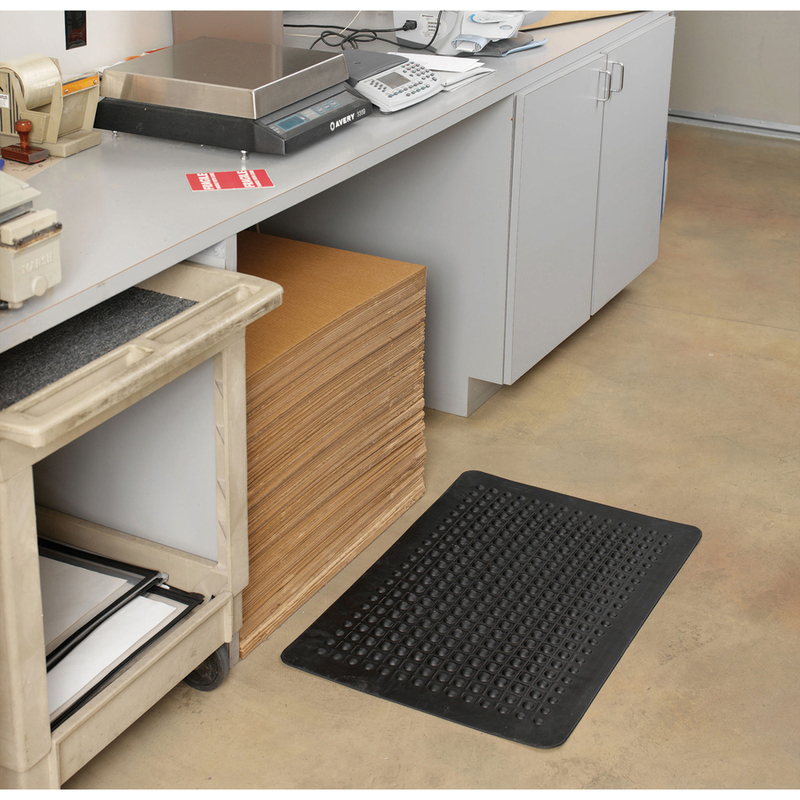 Mat features an anti-fatigue surface that reduces discomfort when standing for extended periods of time. Flexible air domes provide comfortable support. 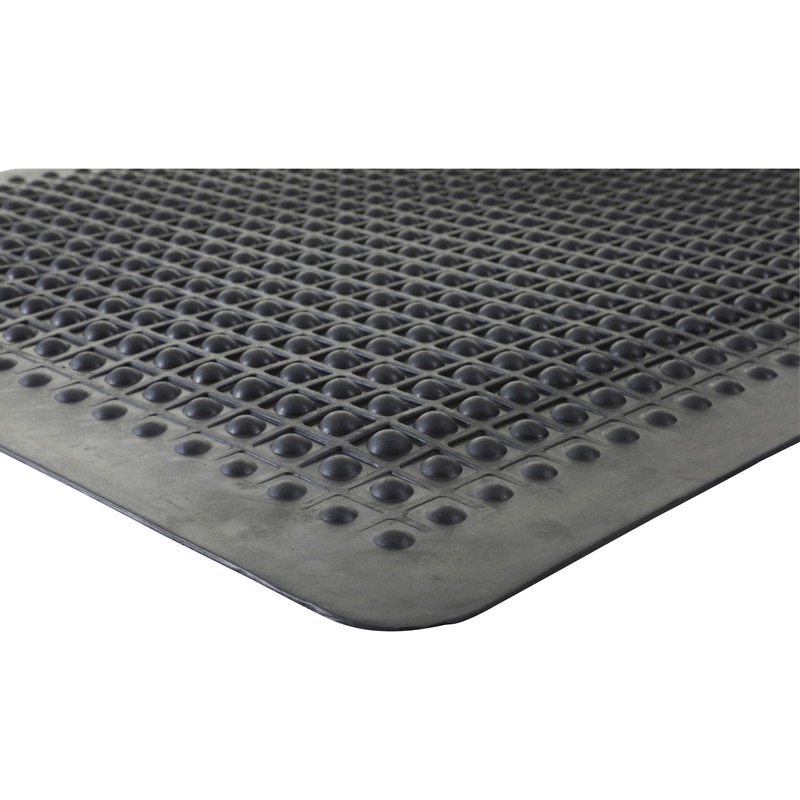 Beveled edges prevent the risk of tripping for safe use.